Last July, when Hawthorn coach Alastair Clarkson wanted to give Conor Glass the good news that he had been selected to become the storied Australian Rules club's first Irish player, Conor Nash answered the phone. By happy coincidence, Glass's family happened to be in Melbourne and the Derry native was driving when the call came. His father, mother and brother were in the back seat, while Nash was in the front and took the call and had the pleasure of delivering the news that his friend was taking the next step on their shared journey. Two young Irishmen far from home, they share more than the same Christian name. They both have a burning desire to succeed in the tough world of the Australian Football League. It does not take long in their company to understand the two-man support network dynamic they have built over the years. 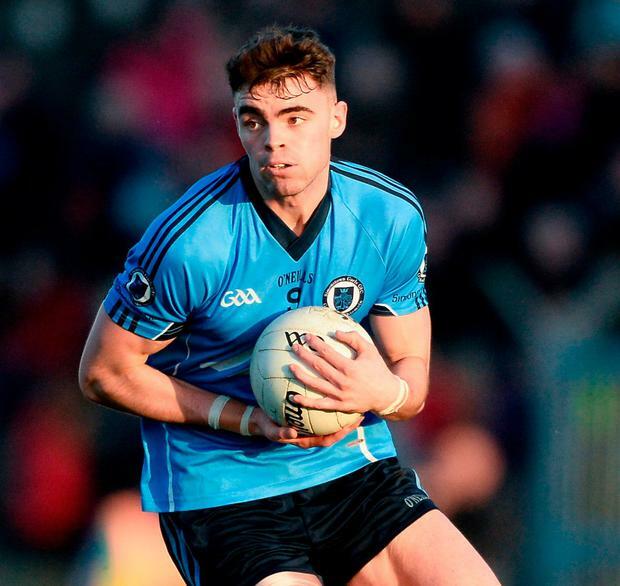 Talented Gaelic footballers, the duo have been on the path since they were identified as potential recruits in their mid-teens and Glass's debut was a reward for the sacrifices they have made. In their second year since taking the big step and moving to the other side of the world to pursue their dream of making it in an unfamiliar game, they are comfortable with the progress they are making. Voted the club's best newcomer last season, Glass has struggled to kick on in his second campaign and has had to be content turning out alongside Meathman Nash for feeder side Box Hill in the Victorian Football League. Star footballers the whole way up, they knew they were going back to square one when they moved to Melbourne but rather than fight that fact they have embraced it. "When you first come out, you have to appreciate that you're starting at the bottom. Some lads struggle with that coming from Ireland, you're probably a star back home, used to being good," Nash explains. "You struggle with not being the main player in a team or not being able to do things with the ball that you were back home. You do have to work extremely hard." They have been determined to take this path since Hawthorn got in touch when they were just 15 and floated the idea of moving. Glass was a star of the St Patrick's, Maghera team that won the MacRory Cup in 2016 and won an Ulster MFC title with Derry a year earlier. 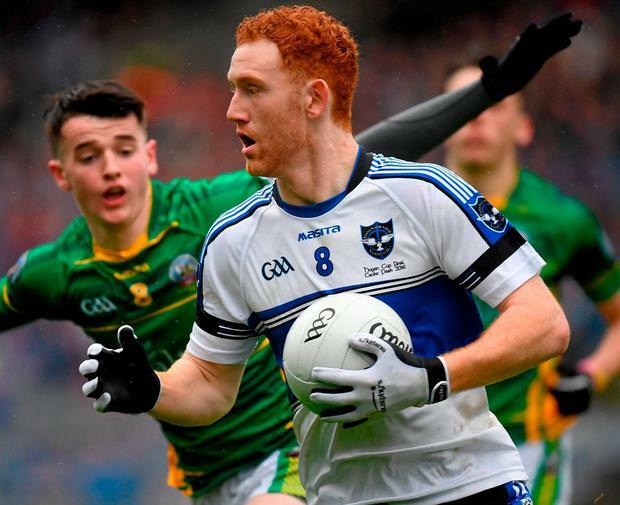 Nash - an underage rugby international who turned down a Leinster Academy place - has won two Meath county titles with Simonstown Gaels and was described by Trevor Giles as a potential "superstar". However, the idea of pursuing a new life in Australia had long taken root. "I was 15 when they first contacted me. They were coming over a month later and said they'd like to meet up," Glass recalls. "Their scouts came and watched my Gaelic games, they said they'd like to work with me over the next couple of years, that they might pick me up or might not. "There was a lot of pressure, you knew they were watching, but they ended up picking me up. "Both of us came out here in two-week stints in 2014, '15, '16, I moved out here full-time in 2016 after my school exams. I knew what I was coming out to. It helped a lot." "I was the exact same," Nash says of his route. 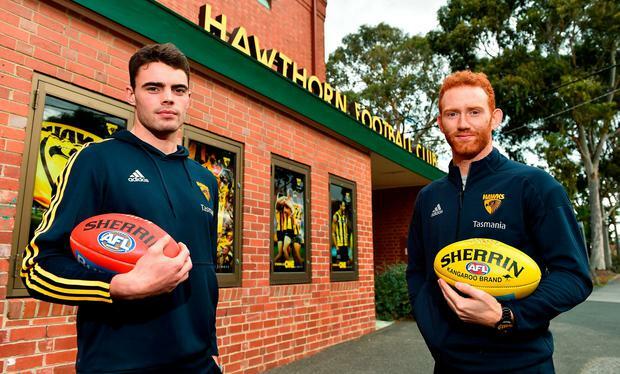 "When the recruiter actually rang dad and said, 'I'm a recruiter over in Hawthorn and we're looking to recruit Conor', he actually hung up the phone - he didn't believe them! "From there, it's a gradual process, the best thing they said was that there was no promises, so after a year or so we could say, 'This isn't for us', it was very easy in the end. "Having them over, coming over a few times, even knowing all the lads when we got here, we'd been over three or four times, our parents would have been over and seen the house we were going to stay in, the things we would be doing outside of football, it was very easy to come over. "It was easier having Conor, he was older than me. He was over six, seven months before me, so I followed the exact path and could bounce things off him, so it made it easier." For a couple of years, they kept their links to Hawthorn a secret and it was a highly pressurised time for the young men who felt under pressure to stay within the GAA. They have watched from afar as Kerry prodigy David Clifford's big decision was the subject of a national debate with Kingdom greats weighing in publicly and warning of the strain it can put on a youngster. "Them coming out and writing all of them articles isn't right. It comes down to the individual, it's his decision," Glass says. "Some people see the opportunity, others think they're taking the best players but there's so many Gaelic players, what's one more? He's going to come back a better player." Nash's decision was complicated by his rugby potential. "There would have been a bit of begrudgery alright, the old staunch GAA boys and stuff like that," he recalls. "But none of it was really hard in the end. My hardest part as it progressed further was telling rugby rather than GAA. "They said: 'We'd love to have you, but if you go that way we won't begrudge you at all. We'll keep you on the books for a while.' That was a massive confidence from them. "It was tempting, I remember coming back in January 2016 after a stint in Melbourne and I had contract offer, so that's when I told Leinster. "It was very tough, I didn't take the decision lightly and it took me a few weeks. Hawthorn said to me, 'Take all the time you need'. "I'd some really long chats with Mam and Dad, some past players, Colm O'Rourke. It was bloody hard, but I saw that it was something new, an adventure and even if I was to come back in a few years it would be for the better, no doubt." He checks in with Leinster on his visits home, but both men's focus is firmly on making the grade in Australia. Hawthorn have invested time, effort and money into their development and they are determined to pay that back. Although they were coming from a very different sport, they were expected to hit the ground running from their first trip over as teenagers. "A lot of people back home didn't think we were training with the actual AFL team but we were with the first team," Glass says. "We were in with the big dogs and pretty much didn't know the sport, so they chucked us in the deep end a fair bit. It was probably good because you just learn different things from them, we still do." It was, Nash explains, a challenge but it is one they have embraced. "It was a bit daunting when we first came over, but it is a real professional set-up, you're doing drills that you haven't a clue and you're expected to know the calls," he recalls. "But when we eventually came out full-time, we came out in pre-season and it was pretty smooth. "It's just gradual, coming over in three or four three-week stints and they came over two or three times to do testing, they trained the both of us in Ashbourne so we were actually quite comfortable. "The other route, with the combine they have in Dublin, it's completely different. You're plucked at 17/18 and you move pretty much straight out. "So I think the way Hawthorn do it is a big plus." They've had to adapt to the game, its rules and terminology and even life as a professional player; putting your recovery first and holding your hand up whenever you're not feeling 100pc. They are also studying for a commerce degree. There is a support network of a number of other Irish players based in Melbourne who meet up on a regular basis, while their plan is to move in with Galway's Cillian McDaid who plays for Carlton later in the year having lived with a local family since making the move. They are in it for the long-haul. "We're certainly receiving good feedback, it will happen but it's not going to just happen like that," Nash says. "This is a long-term thing. It's not like we're here for a few years to then head back home." Glass has had a taste for it and wants more. "It was just the perfect scene… the way we won - I actually played pretty good that day too, it was a pretty special occasion - not for me, but for my family as well," he recalls of his debut. "The first five, 10 minutes you're going to be nervous, but once you get the ball in your hands and do a couple of good things you go on from there and get the confidence. "I was never rocking into the game thinking, 's**t, I better not make a mistake', you've just got to make a mistake and move on from it. "I wasn't too nervous about it, I've played on a couple of big stages back home before so it's nothing new. "This year I've found out that football's quite up and down, you play well one week and you do pretty bad the next and so it's just staying motivated and keeping playing. "Last year I played pretty good, I just need to get back to that level and keep doing the things I do well. "It's more mentally challenging than it is physically because if you're playing bad footy then there's talk in your head that you're not doing well, then you're worried about selection. You're digging a hole that you can't get out of. It's just staying positive." They are doing just that as they continue on a well-travelled road with a unfavourable success rate. Derry and Meath would love them back, Leinster are still interested in Nash, but they are determined to upset those odds.